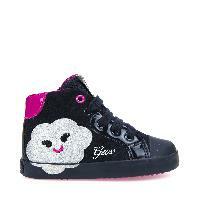 Rishon Girl are girls' shoes from Geox that feature an ergonomic shape and support the ankle. 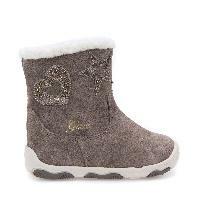 They come with the exclusive patented perforated sole that guarantees all-day comfort and breathability. The insole is removable for practicality and hygiene reasons and comes in breathable, cushioned and anti-bacterial Ortholite. 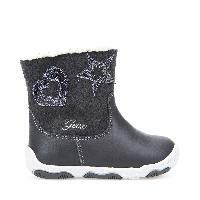 The lining and insole covering are in chrome-free leather to offer comfort and ensure feet are always left feeling dry. What's more, the Check-Your-Feet system on the insole makes it easy to choose the right size. The Softly Cushioned System on the sole absorbs shocks, while the Flexy System guarantees the utmost flexibility. The non-slip TR sole is light and resistant. The pink upper comes in nappa leather and glittery fabric with a double strap and stretch laces to make them easy to put on and to allow for the fit to be adjusted.